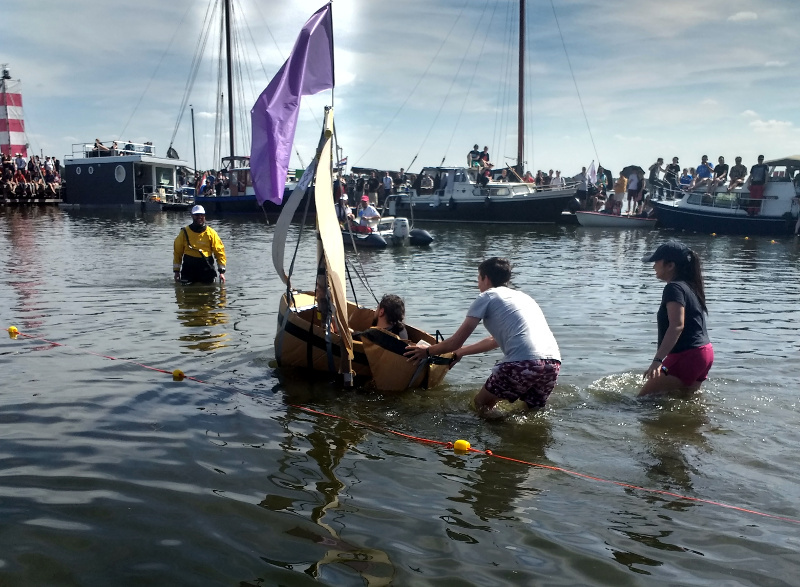 It’s the height of summer in the Northern Hemisphere, and hackers and makers everywhere are letting their hair down and enjoying the hot weather on the water. By coincidence last weekend there were two very different raft races in the European hackspace community, at the SHACamp2017 gathering in the Netherlands the villages competed in a cardboard raft race, while on the other side of the English Channel the various hackspaces in and around London came together in a raft race using more conventional materials. Some of the SHA entries needed a little help. The SHA race came about through the happy confluence of a surplus of disposable cardboard tents, a sunny afternoon, and the inviting waters of the Nuldemauw. The aim of the contest was for hacker camp villages to make it from the bank to the end of the boat dock, a distance of about 100m, in a boat made from cardboard there and then at the camp. Meanwhile the London spaces met at City Road Basin in London with their more robust watercraft for a series of races, the aim of which seems to have been to be the first to get their crew disembarked at the other end of the course. and sitting in a chair on the bank. In both races the inventiveness of the entrants showed itself in a wide range of boat designs. As you might expect those craft with a wider beam fared better than the far less stable narrower ones, with capsizes a feature at each location. 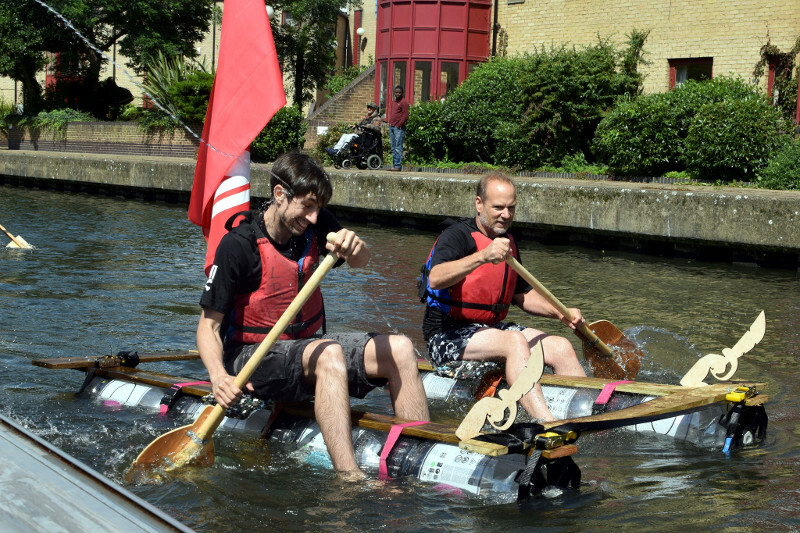 Clear winners in the Netherlands were a pair of German teenagers in a very stable wide raft, while in London it was South London Makerspace’s catamaran that scooped the crown. There is a video of the London race which we’ve placed below the break. The hackspace and makerspace spirit is at its strongest when bonds are forged between members of different spaces. Skills and capabilities are shared, collaboration opportunities abound. The sight of a bunch of European makers getting wet might serve more as entertainment than edification, but behind it lies an important facet of hackspace culture. If you’ve not yet been the spaces closest to yours, do so. You never know, one day you might end up on a capsizing raft because of it.